You could sense the excitement reverberating around Cheltenham on Friday and Saturday, as National Hunt action returned to HQ with the superb two-day Showcase meeting. It may have lacked the strength that we are used to seeing around the undulations of GL50, but there were still some notable performances from horse and human, and we pick out five things we learned from the two days. Nigel Twiston-Davies may lack the superstar performers in his Naunton stables that some of his rivals possess, but he showed again on Saturday that he will be a major force to be reckoned with at Cheltenham again this season after landing a sparkling 139/1 treble. Cogry, who was last seen finishing second in the Scottish Grand National in April, produced a fine performance to land the opening contest on Saturday, as he fought off Singlefarmpayment with aplomb, while Twiston-Davies teamed up with his son Sam again later in the afternoon as Foxtail Hill outbattled the well-backed Le Prezien to land the 2m feature. Calett Mad rounded off a superb afternoon for Twiston-Davies, as piloted by Daryl Jacob the 6/5 fav land the penultimate race on the card, but having been seen over fences last season it's up in the air as to where he will be seen next on a racecourse. But, that treble just emphasised Twiston-Davies' ability to farm winners at Prestbury Park, and he is sure to return to the November meeting with a raft of strong contenders, and who's to say he won't be sampling more success a track he has a fine record at. Slate House was talked up in the lead-up to his Cheltenham win on Friday, and while the Colin Tizzard-trained raider is ultimately going to be seen in his best light over fences, he could be one that sparkles in the novice hurdling division this season, and is an exciting prospect. A £260,000 purchase at the spring sales at Cheltenham, the five-year-old son of Presenting was urged to the front from the flag fall by Robbie Power on Friday, and still full of running come down the hill, he produced a superb leap at the last flight, and duly pulled clear of Dans Le Vent to win comfortably. There will no doubt be tougher assignments as the season progresses, but introduced as a 16/1 shot for the Supreme Novices' Hurdle, he could enhance his reputation at next month's November meeting, and Tizzard could have another exciting recruit to the yard. Gordon Elliott unleashed Chicago Grey at the 2010 Showcase meeting before saddling him to victory in the National Hunt Chase at the Cheltenham Festival, and the Irish handler could follow a similar path with Fagan, who caught the eye when finishing second to Black Corton in the Ryman Stationer Novices' Chase on Friday afternoon. 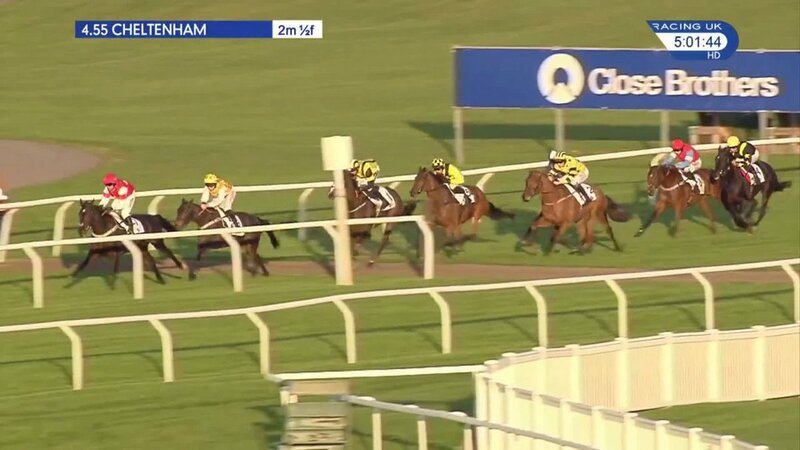 Beaten by ten lengths in that 3m 80y contest, Fagan jumped impressively throughout, and just lacked that turn of foot in the closing stages of the race, as Black Corton bounded clear for Bryony Frost and Paul Nicholls, so it could be another step up in trip that could help aid Fagan's progression, and he is a best-priced 25/1 with Paddy Power for the four-miler in March. While all eyes were fixed on the battle between Foxtail Hill and Le Prezien in Saturday's feature race, it was Cobra De Mai's strong finish that caught the eye, and Dan Skelton's raider could prove to be a lot better than his 19-length fifth should suggest. Out the back from the start, the five-year-old, who had previously won at Sedgefield earlier in the month, was unable to live with the fast pace set by Foxtail Hill, but stormed up the hill in the closing stages, and could be one that improves for the experience of being involved in a red-hot 2m handicap chase around Cheltenham, and is certainly one for the notebook. Tremendous weather aided Cheltenham to attract a record attendance for the Showcase meeting, which saw over 30,000 people flock to the Gloucestershire venue over the two days, with nearly two thirds of them making the trip to the track on Saturday afternoon. However, while the quality on the track may not have lived up to a day at the festival, it was off the track where Cheltenham produced the goods, as the Centaur's new shopping area gave racegoers the chance to sample a variety of activities and food and drink stands, while the amphipheatre of the paddock area gives everyone an ideal viewing platform to see the equine talent on show. Cheltenham's November Meeting takes place betweeen the 17th-19th November, with the BetVictor Gold Cup being the feature.